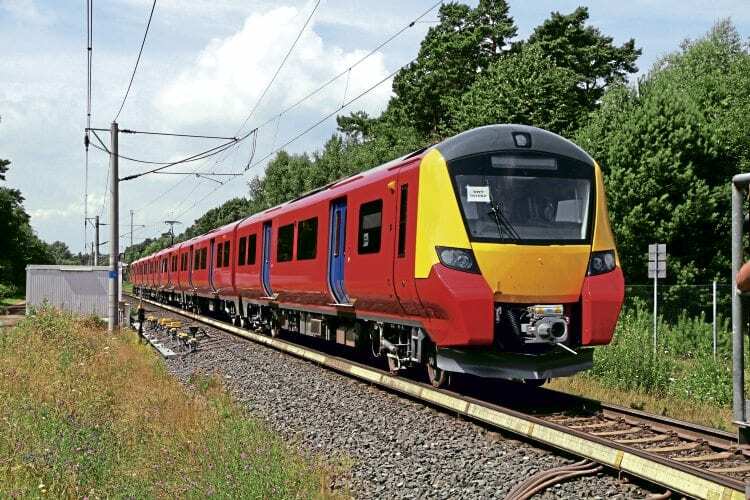 SOUTH West Trains and train manufacturer Siemens have given a preview of their new Class 707 EMUs to a small party of railway journalists. SWT has ordered 30 five-car EMUs from Siemens, which are part of the ‘Desiro City’ family and similar to the Class 700 units being built for Govia Thameslink. Although the units are not due to enter service until spring 2017, Siemens has completed six sets, which were all built on a production line at their Krefeld factory alongside two lines of Thameslink carriages. Production of the 707s has halted temporarily ahead of summer holidays, but will restart in the late summer. One SWT vehicle will be completed each day and then taken to the Wildenrath test centre to be formed into units.